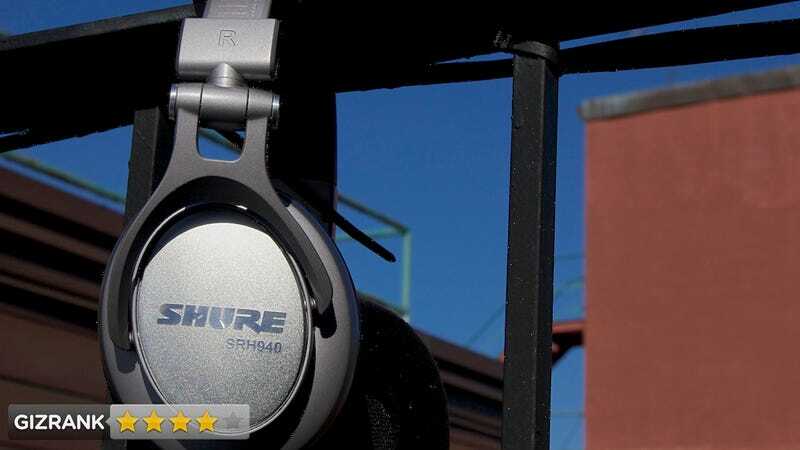 Shure's SRH-940 headphones are the company's $300 flagship, closed-back, over-the-ear headphones. In addition to those who make and/or produce music, these are cans for audiophiles, Especially those just getting into the world of high-end gear. Beats by Dre enthusiasts in search of bass will want to look elsewhere. You won't be buying these for the looks. The SRH-940's aren't terrible looking, but they're nothing special either. Aside from the smoky silver color on the outside, these just look like a typical pair of circumaural headphones. The SRH-940s aren't featherweight, but given their size, they're pretty light and comfortable, even after multiple hours of listening (thanks in no small part to the velvet-esque earcups and padded headband). Imaging and soundstage. Sounds are wonderfully accurate and crisp, zooming back and forth across the far ends of your head. And the horns on Mingus' Black Saint and the Sinner Lady sound amaaaaaaaaaaazing. While durable, these don't feel built for everyday use outside the house. The cord is detachable from the cans, but on that end uses a smaller 2.5mm connector, which means you can't use any old audio cable. Tested with an iPhone 4S on its own, and with the NuForce Icon iDo DAC/headphone amp using 320kbps MP3 rips. Listened to artists spanning a variety of genres, including Jazz (Charles Mingus), Electronic (Zomby), R&B (The-Dream), and 60s Rock (The Zombies). Yes. Especially if the $500 pricetag on a pair like the Sennheiser HD-650 is scaring you off. For those starting to get serious about audio and who want a pair of headphones that deliver sound whose quality probably exceeds its price, these are a good pair to start with.